In summer 2008 we conducted the first 3D multi-channel seismic investigation aboard the R/V Langseth, the new seismic ship operated by Lamont. The goals of our program are to create an accurate 3D seismic reflection image of the magmatic-hydrothermal system at the EPR ISS by imaging the structure of the axial magma chamber (AMC) lid and shallow oceanic crust at a resolution, geometric accuracy, and scale comparable to seafloor observations of hydrothermal, biological, and volcanic activity. 3D migration techniques now commonly in use will allow us to construct geometrically accurate high-resolution images of the magma system and its distribution in the subsurface, while 3D amplitude variation with offset (AVO) analysis will allow us to determine the seismic properties (e.g., velocity, density, Poisson’s ratio) that are proxies for the porosity and fluid content of the magma body. The 6 km offset of the hydrophone streamers will permit a detailed 3D characterization of the thickness and velocity of seismic Layer 2A and the upper part of Layer 2B. 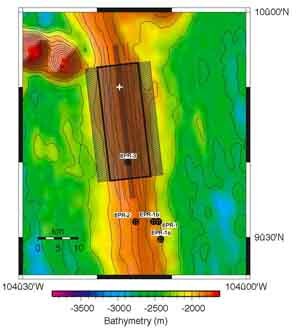 Our 3D seismic study will establish a baseline image of the magma body and upper crust in this region against which changes in geometry and physical properties can be detected in the future using 4D time-lapse seismic imaging technology. 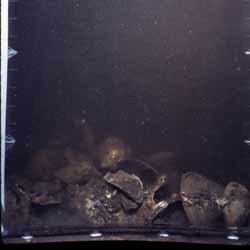 This work is funded by the National Science Foundation and is a collaboration with researchers at WHOI and Dalhousie. For more information visit our cruise web site here. Carbotte, S.M., M. Nedimovic, J.P. Canales, G.M. Kent, , A.J. Harding, M. Marjanovic, Variable crustal structure along the Juan de Fuca Ridge: influence of on-axis hot spots and absolute plate motions. G-Cubed, Vol. 9, doi:10.1029/2007GC001922. 2008. 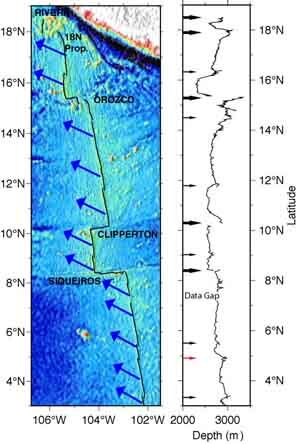 PDF Full resolution versions of Figure 3a-c.
Multichannel seismic reflection studies of the South-East Indian Ridge. 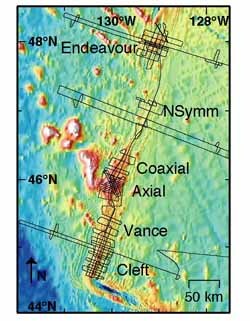 Seismic study of the shallowest, most robust East Pacific Rise: magmatic and spreading rate influences on axial and young ocean crustal structure. Exploiting digital elevation models to study deformation and volcanic processes at Mid-Ocean Ridges.